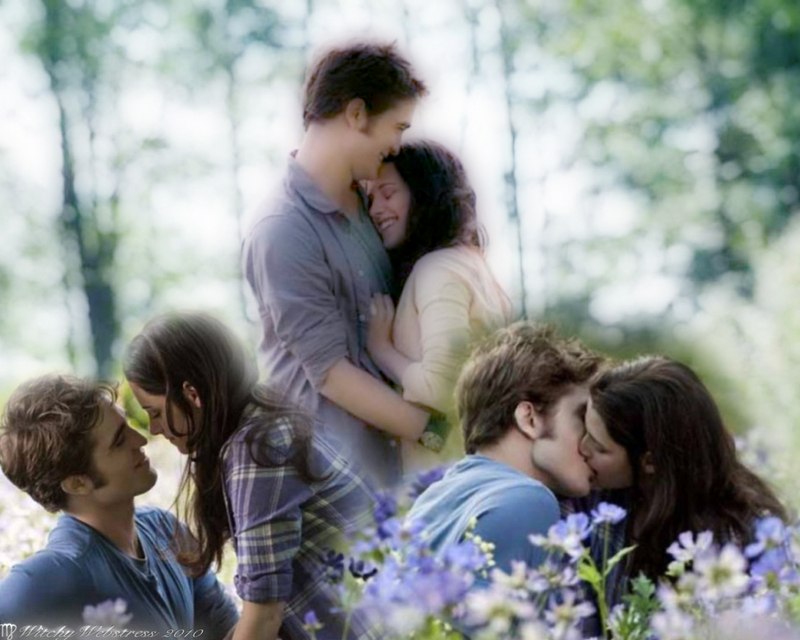 Edward-holds-Bella-in-the-Meadow-Collage. Bella and Edward kissing in the Meadow. HD Wallpaper and background images in the Twilight Series club tagged: twilight eclipse kristen stewart robert pattinson bella edward cullen. That is soooo sweet, lovely, and Romantic!! !